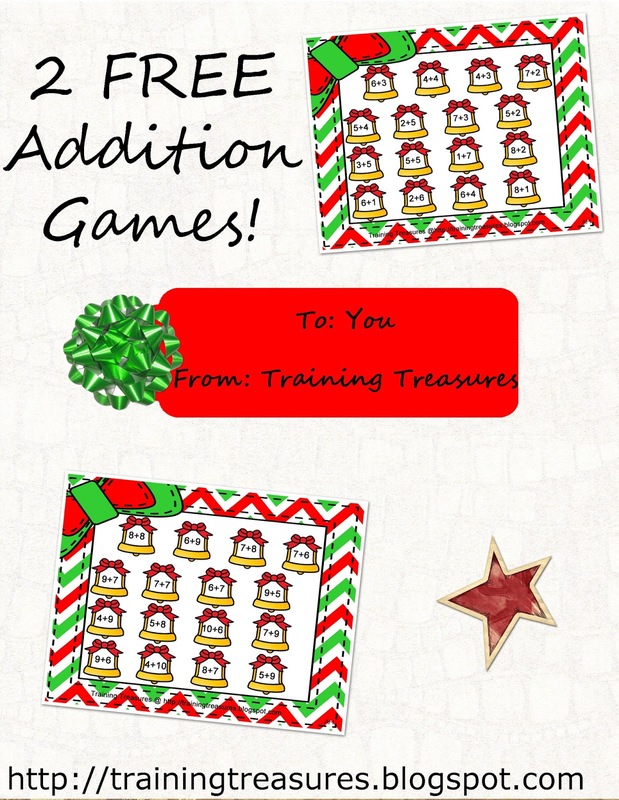 Training Treasures: 2 FREE Christmas Bell Addition Games! Another Christmas freebie? Yes!! I made this game to help my favorite 2nd grader work on her basic math facts. Players spin a sum (spinners included), and find a math fact that equals the number spun. Players alternate turns until game board is covered. Player with the most playing pieces on game board wins! A practice sheet is included for practicing any math facts that were answered incorrectly during game! Get your game for free here! I love making these freebies, so be sure to Subscribe to get them all!